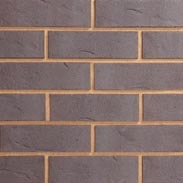 Ketley extruded Staffordshire Blue brick slips eliminate the need and cost to cut down bricks for use with pre-fabricated panels and other cladding solutions. 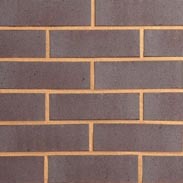 They can be used in combination with Ketley class A Staffordshire blue bricks and specials as they are made in the same plant, using the same clay and firing techniques. A brand new Harvey Nichols store, at Birminghams's exclusive Mail Box shopping center features Ketley Staffs Blue smooth brick slips and pistols to create an eyecatching backdrop to the luxury brands. 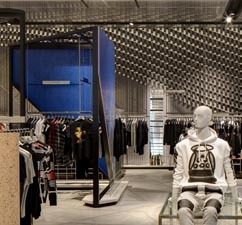 Designers, Virgile and Partners, have created a bold and dramatic feature wall within the store famously conscious of its style, design and quality. 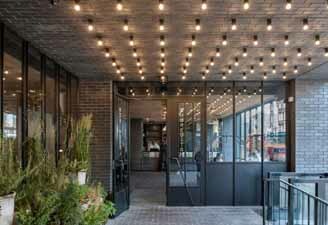 Vertically coursed standard brick slips and pistol slips have been applied to the wall to create a 3D wave pattern that has an elegance and delicacy which, was considered "striking and attractive" by the judges of the prestigious Brick Awards. "Bold repetitive forms have been asssembled with neatness and precision and lit with care to achieve the subtle effects generated within the surface". 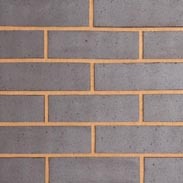 The 18mm extruded brick slips and pistol slips combine well with other materials to create a three-dimensional sculpture which is both eye-catching and well considered. 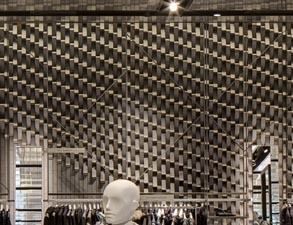 For a retail interior, this sculpture shows "true innovative spirit" and contributes to the luxury feel of the store. 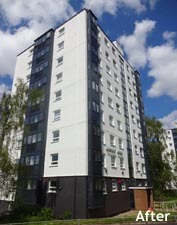 Staffs blue brick slips were used as part of an external wall insulation system for the refurbishment of 3 towerblocks in Birmingham. 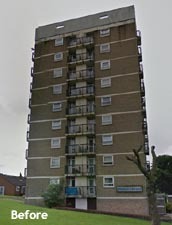 90mm of Wetherby’s EPSITHERM insulation (Enhanced EPS) was installed, then a bedding adhesive with mesh and fixings. The brick slips were then placed on the mesh by buttering the back of them.